that ping is almost as low as benjos's! 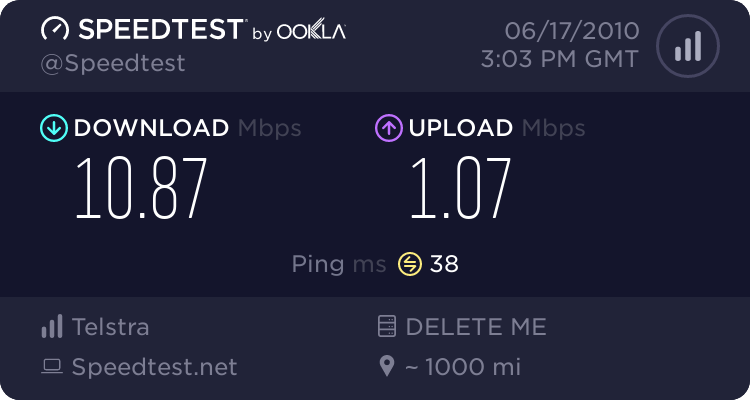 so is this speed good or terrible? 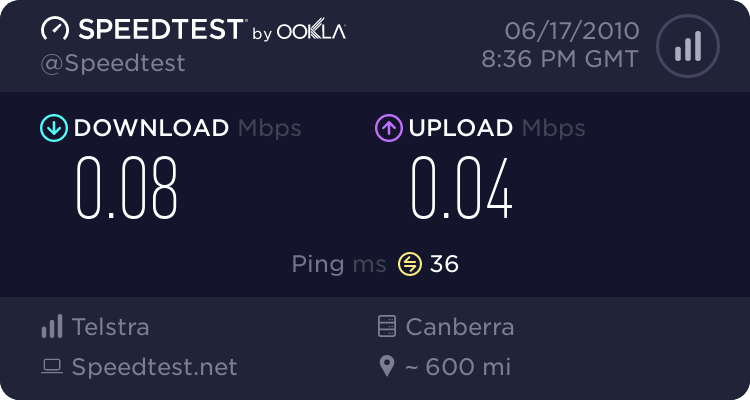 That speed is pretty average. But for gaming the ping is more important. Ping is how long the data takes to get to the destination. Where as speed is how much data you can send and receive. 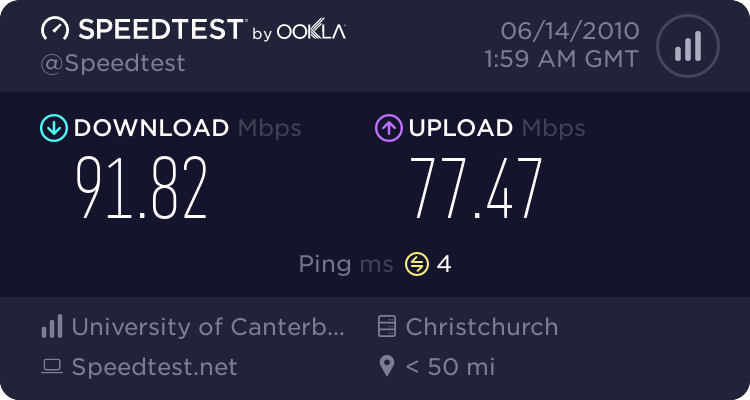 For gaming its better to have low ping then high speed. 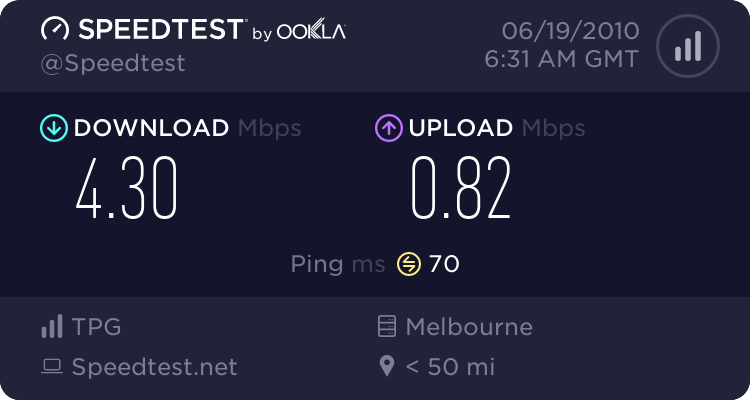 70ms is pretty high considering... i can get 70ish ms to australia. 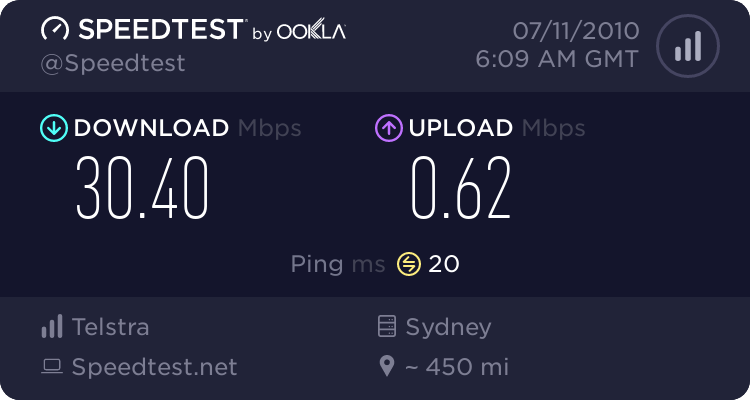 Mines 20.16 and upload 0.97 ping 16ms . how do i post the thing like you guys lol. also beertank i went did that test i got. 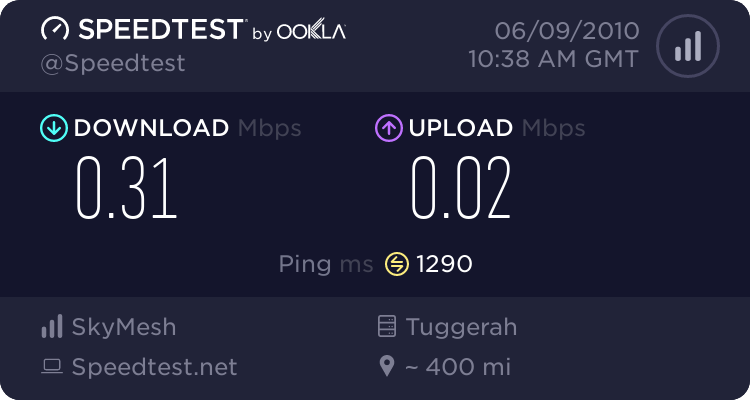 0% packet loss ping 32ms jitter 22ms was grade A aswell.